This time something completely different. 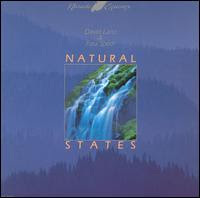 Beautiful new age from 1985 DAVID LANZ & PAUL SPEER LP ''Natural states''. It took me almost 20 years to find out and find this extraordinary track (it's hard to search when you don't know anything about it...I believe many of you know how it is). Original album version used for this remix clocks at 3:21. It was too short for me and I had to do something. Here's 8:58 long crossover I can listen again and again...hope you're gonna like it too. Nice Blog. Can you repost this David Lanz track Behind the Waterfall. I heard it for the first time in 1995 and loved it. Thanks. Link is re-freshed and active again.